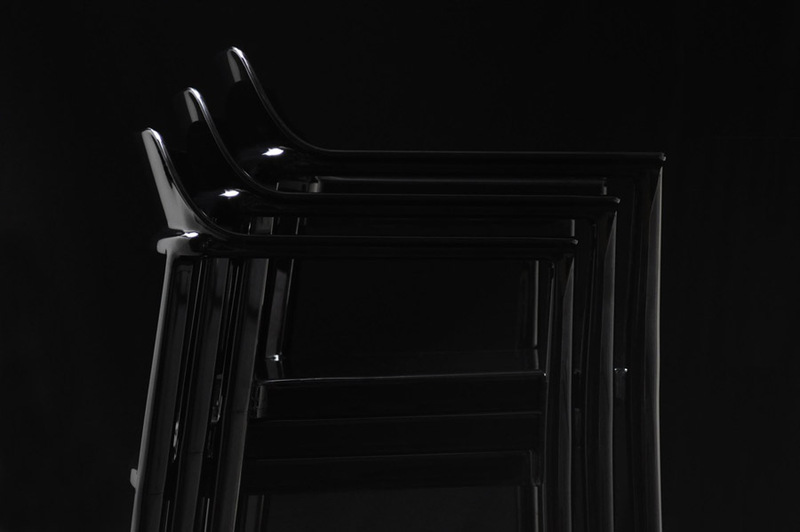 Geppetto is a polycarbonate chair inspired by the ingenuity of China’s Ming dynasty furniture. The chair perfectly fuses the elegant form of a classic Ming chair and the pragmatic sensibilities of contemporary design. The result is a lightweight, well stackable and weather resistant armchair that pays homage to traditional Chinese aesthetics. The classic language of Ming dynasty furniture is well expressed through the technology of gas-assisted injection molding, which was used to create the Geppetto. 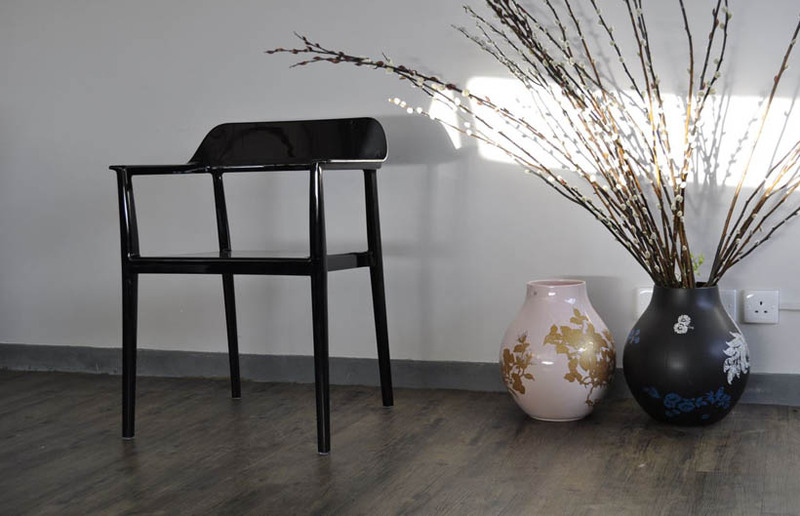 Ming furniture is made from a single type of material without the need for any adhesives or nails. The Geppetto, being made in one piece of polycarbonate, draws an ironic parallel. The modern technology also allows the perfect curves of a Ming chair to be rendered in a split second, such that an elitist aesthetic style that used to take many days to create by hand can now be mass-produced and enjoyed by all. 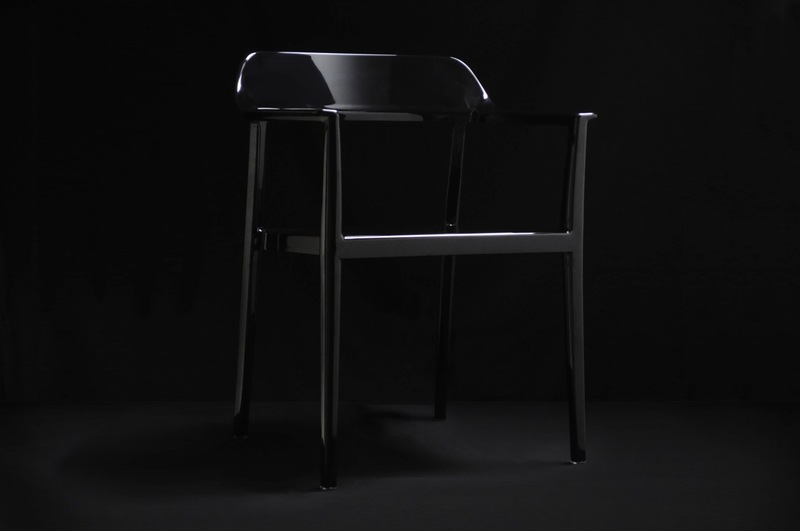 The Geppetto is lightweight yet unbreakable and weather resistant – something that antique Ming chairs never achieved. It is also one of the few chairs with an armrest that stacks snugly. The result is a contemporary design that is a tribute to and a comment on classic Chinese aesthetics, bringing the ancient Ming designs into the present day, and breathing new energy into the traditionally wooden objects, much like Pinocchio coming to life. 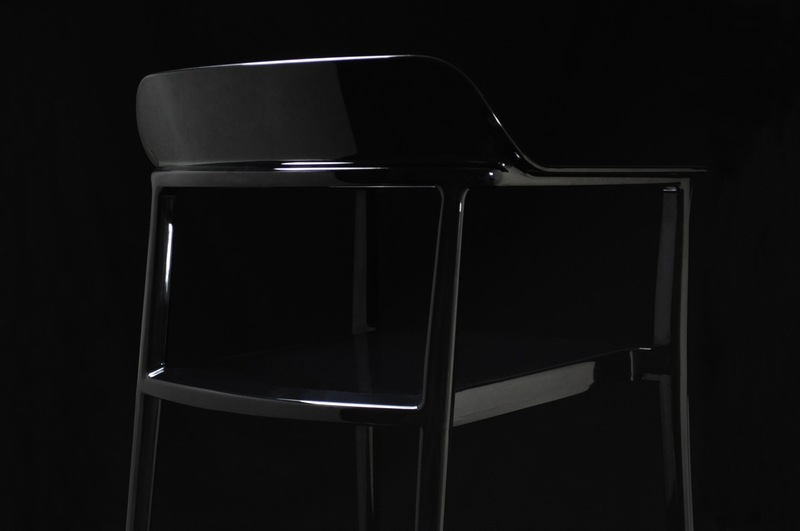 The Geppetto is the first high-end original design for gas assisted molded plastic chairs to come out of China that is suitable for both Western and Asian markets. It’s stackability, lightweight and durability makes it suitable for commercial projects as well as the private home. The Geppetto maximizes the potential of traditional Chinese aesthetics while catering to the real needs of contemporary urban lifestyles. It is a contemporary comment on a traditional Chinese product.